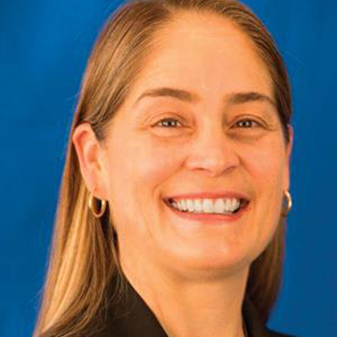 Lynn Haaland is SVP, Deputy General Counsel, Global Chief Compliance and Ethics Officer and Chief Counsel, Cybersecurity at PepsiCo. Prior to joining the company in 2016, Ms. Haaland served as a federal prosecutor in the Eastern District of Virginia (EDVA) and in the District of Columbia. Most recently, she served as Deputy Chief of the National Security and International Crime Unit at EDVA, where she supervised and prosecuted terrorism, international drug trafficking, sanctions, cybersecurity, and other national security cases. She worked with judges, law enforcement agencies, and other executive agencies to design, implement, and oversee a first-in-the-nation program for international criminal investigations. Ms. Haaland charged the first cyber terrorism case ever brought by the United States. Prior to becoming a prosecutor, Ms. Haaland worked at the United Nations, where she specialized in claims by and against the UN, and at the Claims Resolution Tribunal for Dormant Accounts in Zurich, Switzerland, the court established to adjudicate claims to the dormant bank accounts from the Second World War. Ms. Haaland also worked as an associate in international litigation and arbitration at large law firms in Paris, New York and Washington, D.C. Ms. Haaland attended law school at the George Washington University and studied Comparative Literature at Princeton University, where she was a National Champion in Women's Rowing. You must be a Chief Compliance Officer, General Counsel or related compliance / legal leader with $1bn+ in revenues to attend.